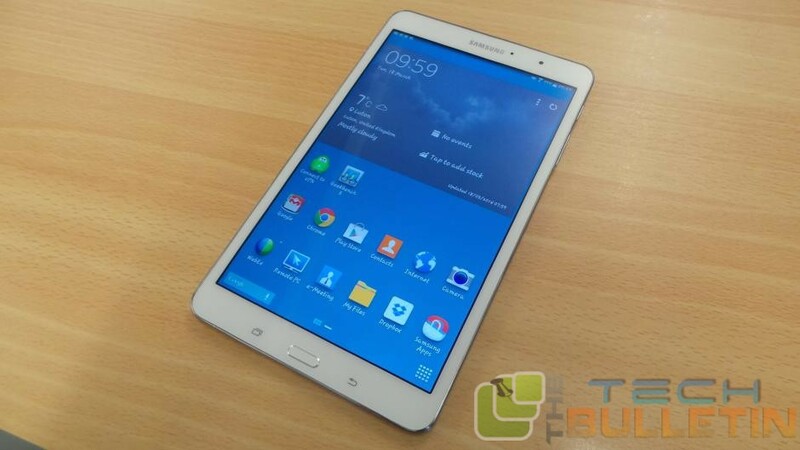 Galaxy Tab Pro series from Samsung has ruled the Android tablet market over the years with its specs, design and performance. Here we have covered up the tricky but very powerful tutorial to root Galaxy Tab Pro 8.4 SM T-320 and install TWRP recovery. These two guide allows you install any third party app, custom ROM, optimize performance, and more. The Tab Pro 8.4 is smart tablet with Snapdragon 800 Quad-core 2.3 GHz Krait 400, Super Clear LCD 8.4 inches HD display, filled with latest Touchwiz UI from Samsung, Adreno 33o GPU, running the KitKat 4.4 out-of-the-box. To achieving the root access on this device, it also uses the same method called Odin method that requires a Windows Laptop or PC along with your device while rooting. Download both the file on your desktop and extract the CF-Auto-Root zip file and double click on the Odin3-V3.07.exe. Now turn off your device and turn it on back by pressing and holding the Volume Down + Home + Power buttons altogether until you see the warning message. Now press the Power button to take the device into Download Mode. Now connect your device to your PC via USB cable, make sure your battery has charged up to 60%, because one it get started, you cannot terminate the process in between. So be careful. The Odin program will automatically detect your device. Make sure that the Auto Reboot and F.reset options are checked, don’t make any changes other than that. Click on the PDA tab and select the CF-Auto-Root-mondrianwifi-mondrianwifixx-smt320.tar.md5, you will find this file under the extracted folder. Click on Start button to being the rooting process. Again shut down your device and turn it on back by just pressing the Volume Up+Home+Power Button. Now press the power button to enter into the Download mode. Again you need to connect the device to the PC using a USB data cable. This time also the Odin program will automatically detect your device. Make sure Auto Reboot and F.Reset Time are checked and everything else is unchecked. Click on Start to begin with the procedure, it will take a few seconds to complete. And the Tab will reboot itself once done.